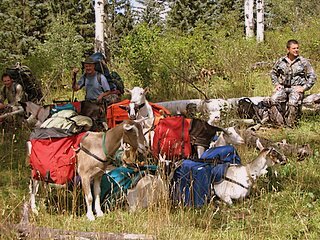 Summit Pack Goat started in the late 90's for one reason, elk hunting. 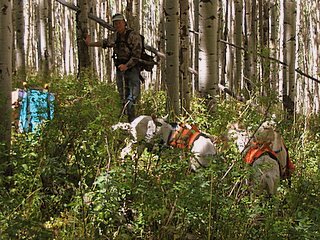 2006 was very exciting as we are starting to see the results of our breeding program mature and get put to work doing what elk hunters love to do, pack meat. 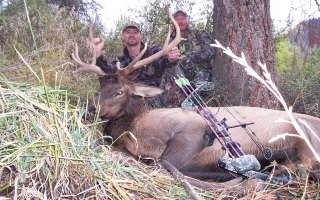 Eric once again took a very nice bull the day before the September snow storm rolled through Colorado. 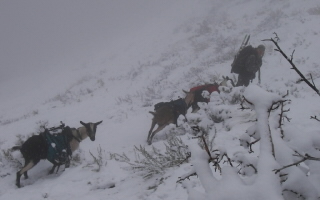 Dan, Eric, Ace, Keno, and Yukon made a very tough pack out look pretty easy. 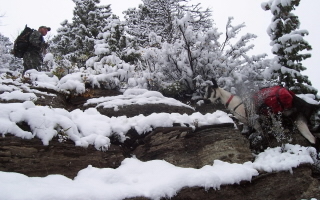 Here is a great picture of Ace and a fine example of what we're working to produce at Summit Pack Goat. Ace is 3 1/2 years old, note the long legs and solid frame. 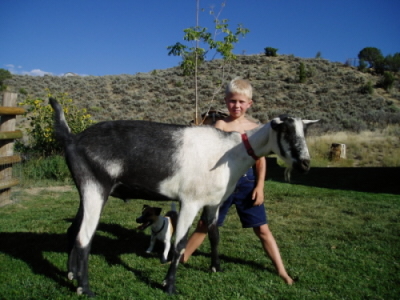 In January 2007 Ace is 39 inches at the wither and 225 - 250 lbs. He packed out 50lbs of Erics bull and jumped into the back of a 3/4 ton truck, still loaded. We're looking for an athletic mix of size and endurance. 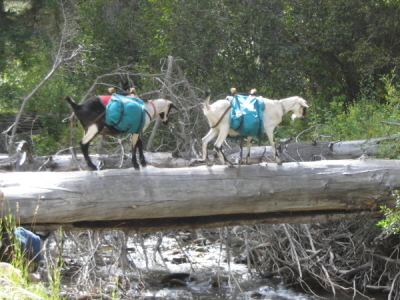 Dan's been having his goats help pack out elk for a few years already, and they are just coming into their prime years. 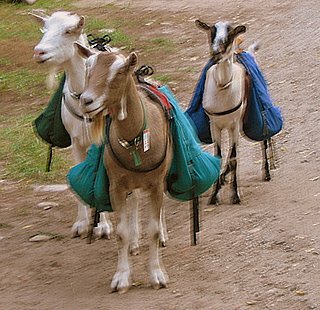 Here's a few pictures from our own trip in 2006. 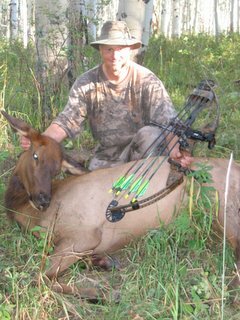 Pat and I were successful in taking cows, Pat's first archery elk. 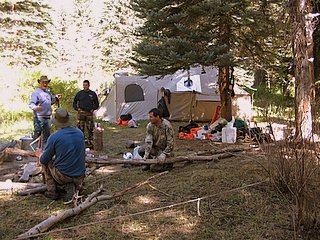 Once again, we packed up a very large base camp to stage our hunts from. We were prepared for the changing September weather, but warm, dry conditions prevailed for the time we were there. My cow had to be packed out 6-7 miles from the truck. 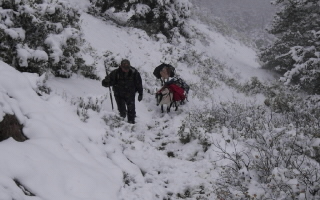 I packed her out myself in one trip, with the help of three goats, estimate it to be a 10-12 mile day, but the meat got put on ice in great shape and has made for a full freezer at home. 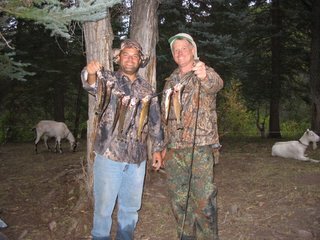 Pat and I returned to our base camp the next day and enjoyed an afternoon of fishing and dinner with some new friends camped near by. Great trip and we're looking forward to 2007.